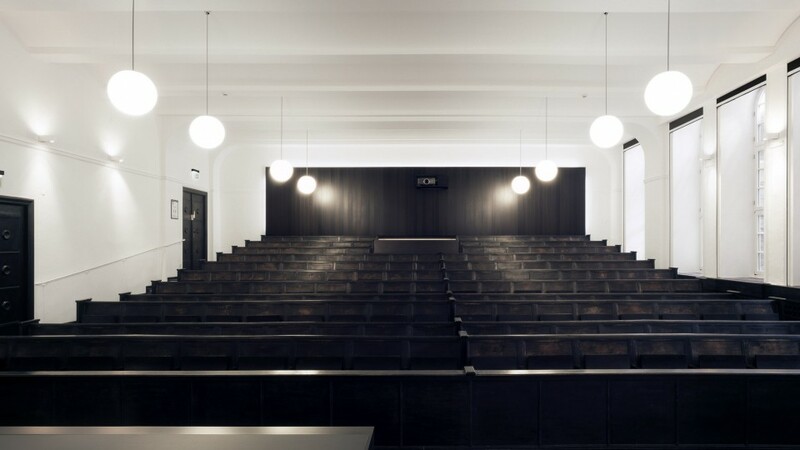 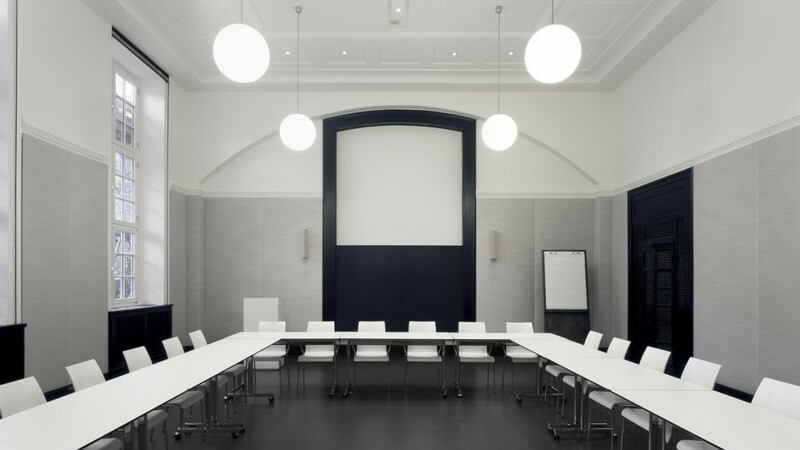 History, location and high standards are the defining design themes in the renovation of the lecture theatres at the Museum for Hamburg History. 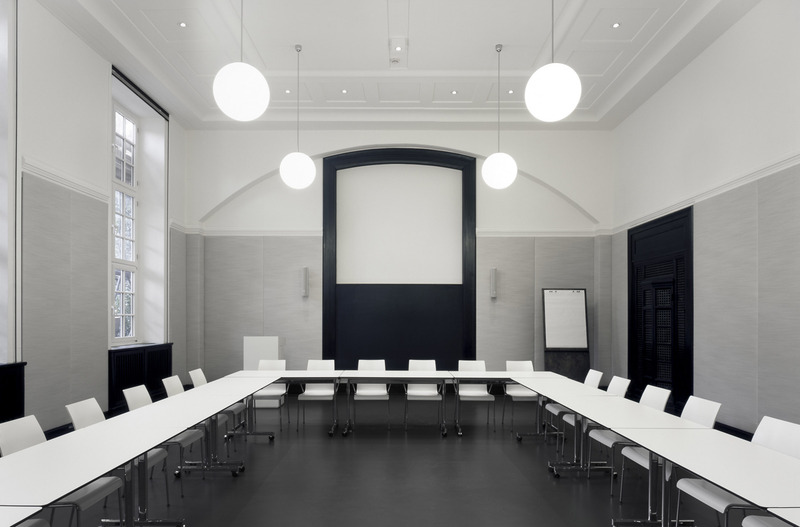 Existing fixtures such as the pews, paneling and cabinets are restored and complemented by modern, high quality and understated installments. 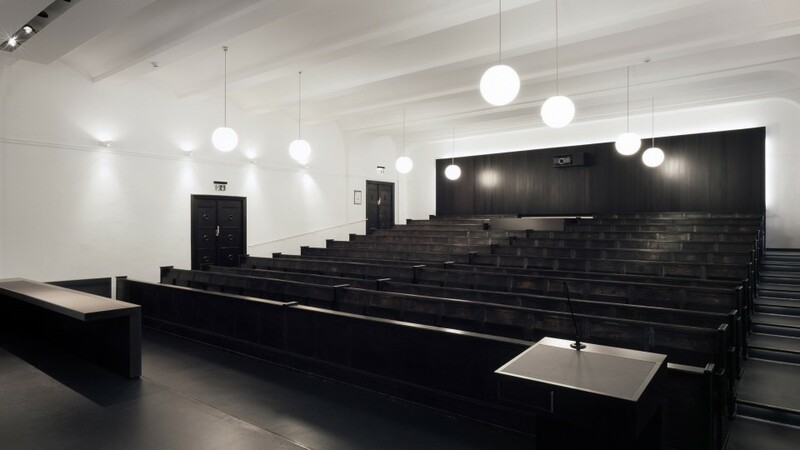 Classic globe lights and modern LED lighting shed new light on the rooms without compromising the architectural integrity of the listed building designed by Fritz Schumacher.